Welcome back to BEST TOY EVER an intermittent column focusing on toys that I had no part in creating. This column will be coming to you when the mood strikes me to snap some pictures and type a few words about an awesome new toy that I’ve acquired. Let me preface this with the honest to gosh truth that these will not be review samples that were sent by a toy company or retailer, but instead a cool toy that I plunked down my own cold hard cash to purchase. 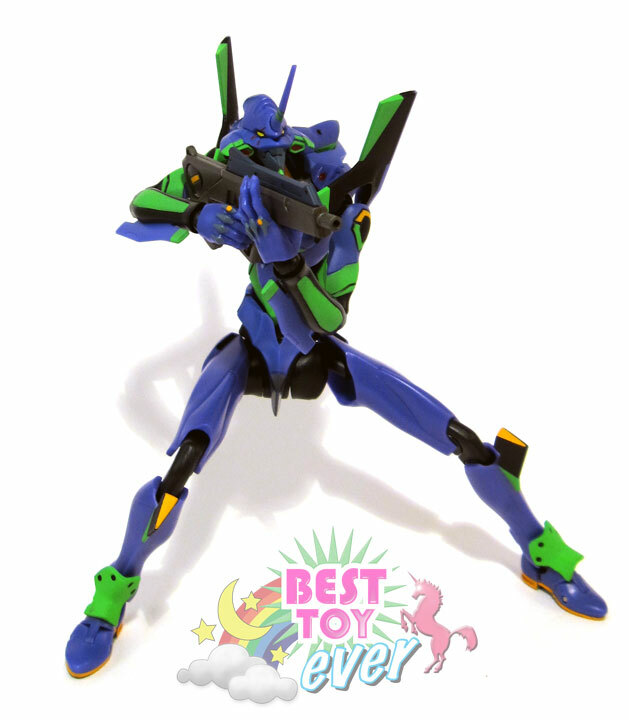 For our second installment I’ll be conducting a little show and tell that will ignite a unquenchable desire to track down Bandai’s Robot Damashii (or Robot Spirits for the gaijin) Evangelion 01 Test Type action figure. This entry was posted in BEST TOY EVER on September 20, 2010 by Adam Van Wickler.